The graphene handbook has been read by leading material engineers, business developers, researchers, equipment vendors, private investors and others who wish to learn more about graphene today and in the future. We truly believe that it is the best introduction to graphene! The Graphene Handbook 2019 edition can be downloaded now for $97 USD (via Paypal or credit card). To secure your copy simply click here. Existing digital-copy customers are entitled to a 50% discount (and if you bought your copy in September 2017 or later, you'll get the upgrade for free). If you did not receive your upgrade coupon, contact us to get one. 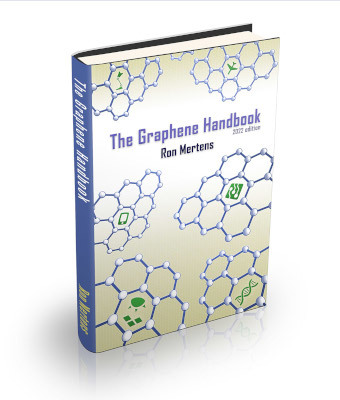 For more information, and to order your copy today, visit The Graphene Handbook info page.